After more than 1 1/2 inches of moisture from rain and snow in some sections of Boone County last week, area farmers were beginning to get back into their fields early this week. Most fields were still muddy on Monday, but corn harvest was in progress on some sandy soils. Some soybean fields were being harvested by Monday evening. 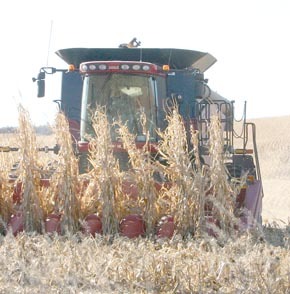 Wet weather has slowed the corn and soybean harvest throughout the state.